We have had a number of individuals ask us to include them in our mail list. 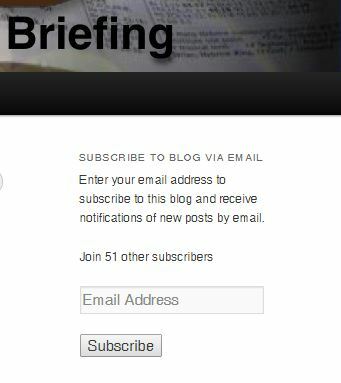 You can sign up to be notified automatically for any posts to the Kingdom Intelligence Briefing. Just go to the main (home) page and use the sign up widget on the right. Hello Dr. Lake, I need to talk to you, do you have a PO Box I can send a letter to? Thanks!